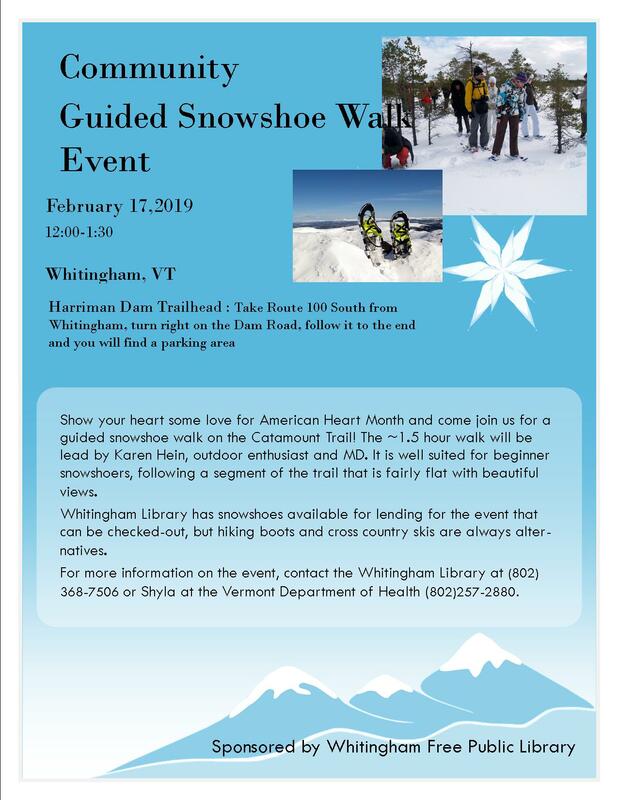 Show your heart some love for American Heart Month and come join us for a guided snowshoe walk on the Catamount Trail! The ~1.5 hour walk will be lead by Karen Hein, outdoor enthusiast and MD. It is well suited for beginner snowshoers, following a segment of the trail that is fairly flat with beautiful views. 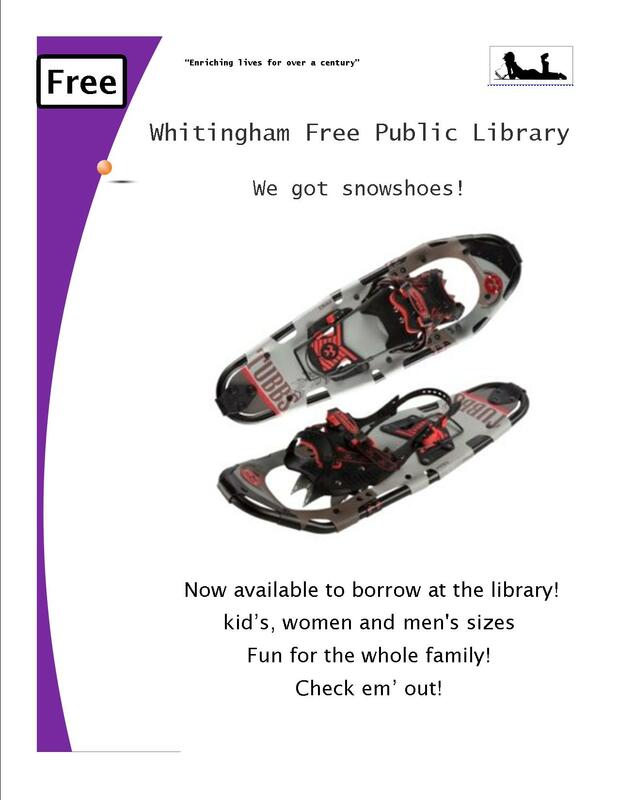 Whitingham Library has snowshoes available for lending for the event that can be checked-out, but hiking boots and cross country skis are always alternatives. For more information on the event, contact the Whitingham Library at (802) 368-7506 or Shyla at the Vermont Department of Health (802)257-2880.